Some people may be trying to figure out why Tung Ling Seminary appears in my website. It is because I am the Principal of Tung Ling Seminary. The next question they ask is, " How in the world did a musician end up running a Bible School ?" So I tell them music is my hobby and gifting, and the Bible School is my work. I started writing songs in 1980. That was way before I got all my degrees in Engineering in 1984 and 1988. Then I became an engineer and subsequently a Sr. General Manager of the Soon Seng Group. In 1999, God called me to full time service and so I became the Principal of Tung Ling. So in reality, my real work is running the Bible School. Music is my hobby. So don't even try to figure out where I find the time to record my albums and write my songs. It is hard work. Most of the time I work late into the nights to write my songs, work in the recording studios and reply hundreds of e mails. All my studio work and song writing are all done outside my office hours which I diligently keep. 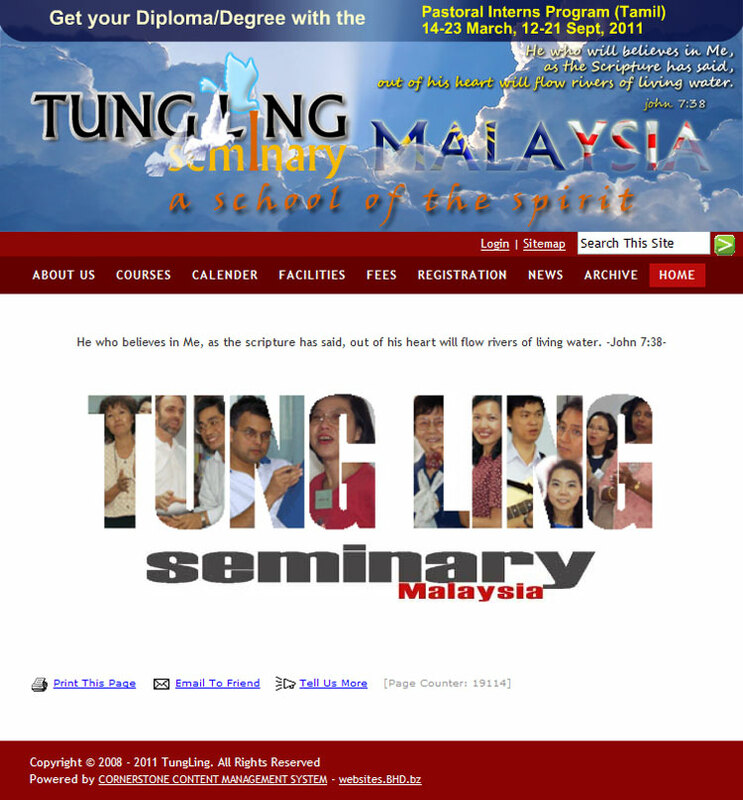 But here is where I work…………Tung Ling SEMINARY …..
We are located at the following address in Subang Jaya, Malaysia.